*Wooded 10 Acres with stocked 1 acre pond and 1.5 story home with basement built in 1998 *Until recently there was a mobile home on the premises, so electric, water, septic are available for a mobile home as well, or would be a great place to build a shop, etc. *Enjoy the huge octagon 2-tiered deck built in 2015 - beautiful in summer and winter! *Also to enjoy is the covered back porch with ceiling fan - you can watch & listen to the wildlife here, for sure! 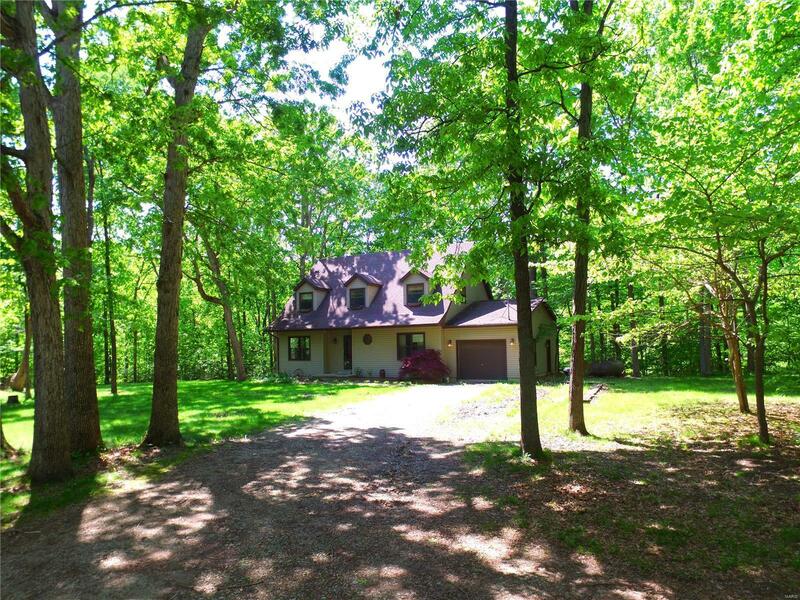 *The front view from this home looks out across the one-acre staked pond - this may be the paradise you are looking for! *Stainless steel appliances in the kitchen *Solid red oak cabinetry *Hardwood in foyer & the dining area *Bedroom &l bath finished in the walkout basement *Central vacuum *New Marvin sliding doors in the kitchen/dining area. *Beautiful home & setting where you can relax & enjoy the wildlife! *Don't hesitate on this one - call your REALTOR® today & come view this really nice home & acreage!